Download Free Discount Voucher Design Template. This is a Set of free Discount Voucher Templates which has clean and creative design that you can adapt to any kind of promotion for any product and sale. It is designed specially for fashion apparel brands but it can also be used for any kind of business like fashion, shopping mall, beauty salon, spa center, cosmetics, boutique, and so on. This Freebie comes in 4 different color options which you can choose according to your requirements. This Free Discount Voucher Design Templates are designed in 8.5×4 Inch dimensions, and there are total 8 PSDs (Front and Back) and it is ready for print CMYK 300 dpi PSD file. The psd files can be edited using Adobe Photoshop, and you can easily be able to change the text. 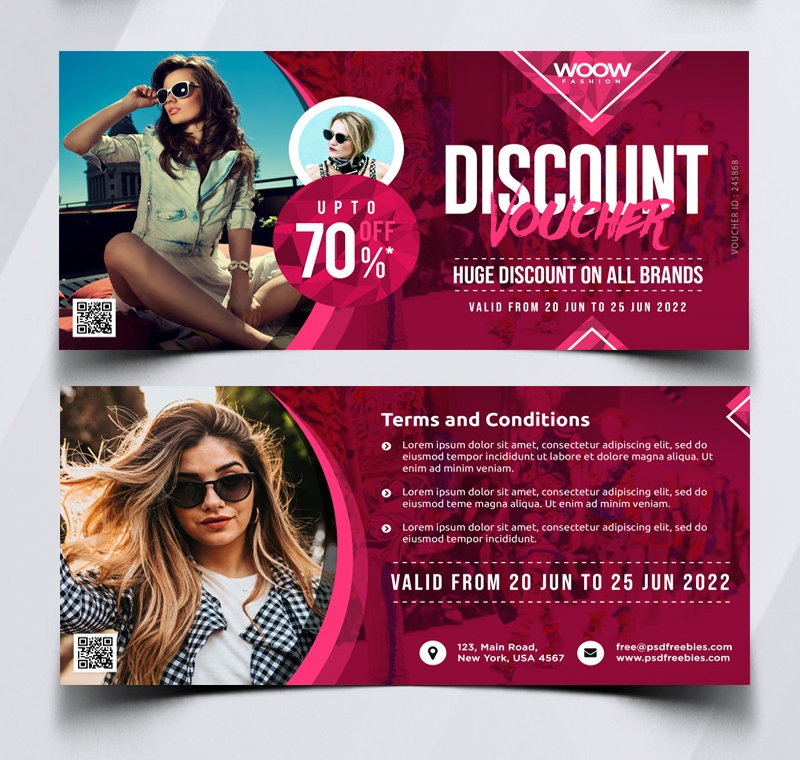 Hope you like this Free Discount Voucher Design Template. Enjoy!